It is very informative post for the blog and it is provided nice information. Thanks you. I am very much impressed with this post. 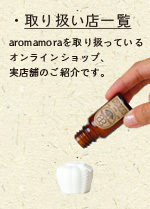 I would like to know more about aroma. I hop that there will be best posts in future by aroma. Happy to know more about Aroma design of living. It act as a great inspiration for me. Life is too short and we need to face so many challenges in life. A best motivator can lead us in a right way. This seems to be a very nice post and i am new to this web site. I like the way of your presentation. It was simple and easily understood-able ones. I am eagerly waiting for your future posts. Thank you.